tomato puree (water, tomato paste), diced tomatoes, tomato juice, cooked beef crumbles (beef, water, salt), contains 2% or less of: water, onion, sugar, salt, olive oil, garlic, dehydrated vegetables (carrots, red bell peppers, celery, leeks, parsley), dried beef stock , citric acid, spice, calcium chloride. 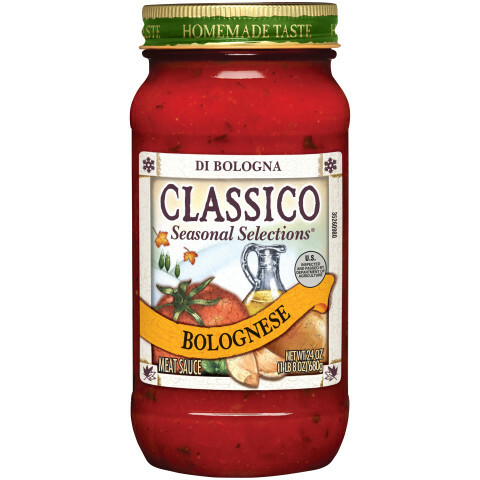 Bolognese is meat-based sauce originally from Bologna in the region of Emilia Romagna. In the cooler months, everyone is looking for a warm, comforting meal. Here, our Bolognese combines red-ripe tomatoes and natural ground beef to create a deliciously hearty winter sauce. We've been using this sauce since we saw it flagged as new at our Co-Op Grocery store in Selkirk and have now found it at Save On Foods !!!!! 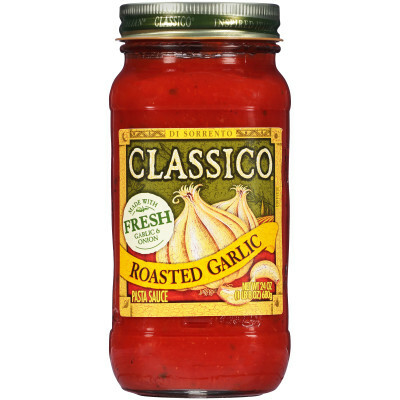 OMG this sauce is incredible best ever Classico, and we're using it exclusively ! we LOVE IT ! 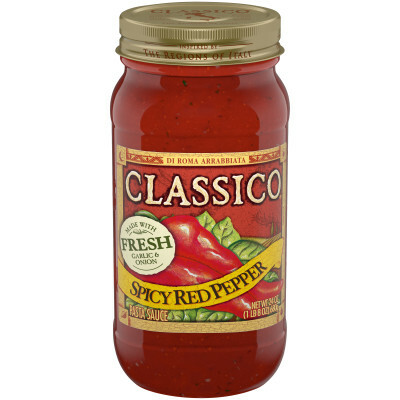 I bought this sauce for the first time a couple of weeks ago. I have to say this is my new favorite! 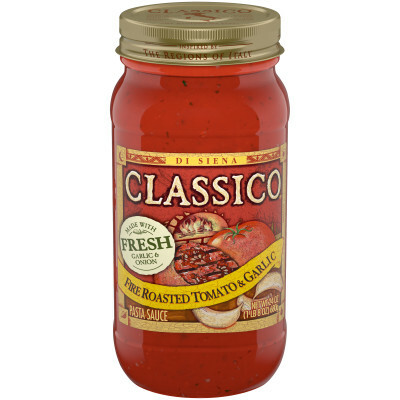 I have been using Classico sauces exclusively since they first came out years ago. You can't get this quality in any can on the market today!